Web applications. They come in all shapes and sizes. If you’re a developer who creates such apps, or you’re learning to become one, it’s quite likely that one of the programming languages you’re using / will use is Java. The good thing about Java is that no matter what program you develop, it can be applied anywhere, the web too. To put it simply, Java is used to create and develop all kinds of apps and software. 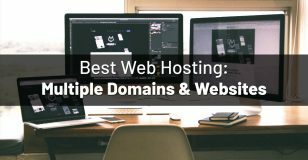 Since in this article, we’re talking about web applications, a reliable hosting company is a must. But we need one, that provides efficient services to those in specific need of Java hosting. Keep in mind though, that the standard hosting plans that most companies give you (like shared hosting), don’t support Java hosting. So, the hosting packages we’ll cover in this article will be a bit pricier (not all of them) then the usual shared hosting plans. But what is Java hosting more exactly anyway? Let me tell you! A Java-supported hosting, is basically a host that has Java software installed on it. It’s that simple. Because this programming language needs more resources to work properly, most of the companies in this article choose to give you VPS (Virtual Private Server) hosting or a dedicated server. This way you’ll be all set to a great start with all the resources you need. The first pick in this article is called InMotion Hosting. 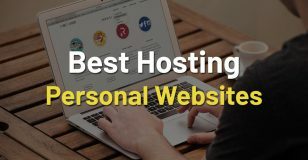 This company was founded in 2001 and it grew to be one of the leading hosting companies worldwide. 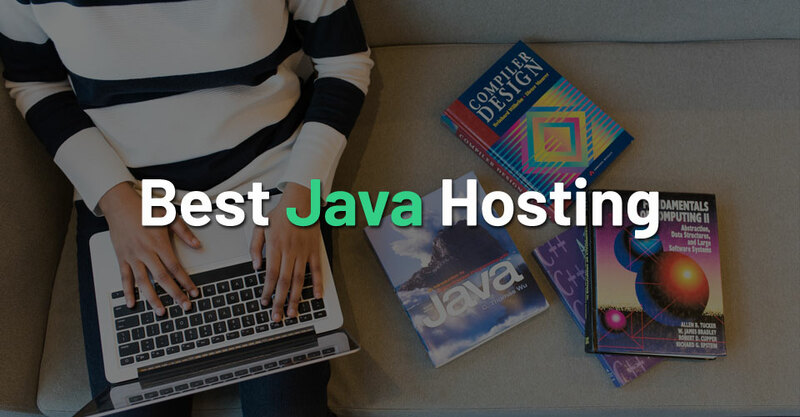 They provide lots of types of hosting possibilities, but we’ll focus on Java-supported hosting. InMotion does not have a dedicated Java hosting plan. Instead the company uses VPS hosting and dedicated server plans to achieve good performance for such needs. We’ll take a look at these plans right now. There are other perks as well, but the main bonuses were listed above. The first plan that costs $29,19 / month comes with fewer features, but it’s still a good deal, if your site isn’t too demanding from the beginning. The best idea could be to go with the second plan that I mentioned. This way, your website can use more resources from the start and you won’t undercut your needs. In the future, if you need more than the plan gives you, you can upgrade anytime. Now, let’s check out the dedicated hosting InMotion makes available. Well, I told you that you shouldn’t be short on money with these options. What will you get with purchasing one of these plans? The Essential plan comes with an Intel Xeon 3,9 GHz Turbo 4C/8T processor and 8 GB of RAM. You can also choose between 500 GB of SSD storage or 1 TB of HDD storage. 6TB of data transfer and 5 free IPs are also included along with a free SSL certificate. The Advanced plan gives you even more resources (for a higher price, of course). You get an even better processor from Intel with 16 GB of RAM added to it. 10 TB of free data transfer and 10 free IPs are put into the package too. Besides the mentioned perks, you get a lot more features. But the idea is, that InMotion’s dedicated hosting plans are fully fledged out to give you the best possible performance that one could ask for. On top of all this, there’s another option with any of the plans: you can create your personal package by hand-picking every feature to your needs. This way, you can make sure they give you a personalized experience. A2Hosting is another big player in the industry. The company was first founded in 2001. Most of its users are pleased with the service they provide. On the official website there are testimonials displayed from recent users. These testimonials are regularly updated, so you know what to expect from the company. Similarly, to InMotion, A2Hosting also comes with dedicated hosting and VPS hosting as well. We’ll talk about these in a second. But first, I want to mention that A2Hosting comes also with specifically tailored Java hosting. Yes, they include this in their offering. Let’s see what does their Java hosting include. So, the first plan called Entry comes with a free SSD, Root Access, 512 MB of RAM, 2TB of data transfer and 20 GB of storage. All this is backed up by 1 CPU Core. Yes, it’s a pretty basic package, but for just $5 a month it’s really worth it. And keep in mind, that no matter which plan you would go with, A2Hosting gives you anytime money back guarantee. Now, let’s move on to the second plan called Mid. For a monthly $10 you get 30 GB of SSD storage space, 1 CPU core, 2 TB of storage and 1 GB of RAM instead of just 512 MB. Root Access is also available in this plan. Elite comes for a monthly $15 and with more resources too: you have 50 GB of SSD storage space and 4 cores (instead of only 1). The rest is the same. Just like InMotion, A2Hosting also provides a custom designed plan, where you can choose the storage size, RAM, Linux OS and data transfer amount. Something very handy about A2Hosting is the developer friendliness of their Java hosting plans. For instance, the hosting service comes with Webuzo. This tool lets you install Java with just 1 click and makes sure that every time a new updated version of Java is available you get notified by email. Now I’ll mention briefly the VPS hosting possibilities as well. If you need powerful hosting capabilities for your Java-based work, A2Hosting’s VPS plans could be a good fit for you. They sure are a bit pricier than the previous packages I already talked about, but they’re worth the money. For example, their most popular plan (Prestige+) costs $46,19 / month. It lets you use 6GB of RAM along with 100 GB of SSD storage. 6 vCPUs make sure of the high performance of your hosting package. With this plan you have 3 TB of data transfer allowed. The security of your website will be assured with the free SSL certificate. And for a better site management, they included free access to a traditional cPanel. As you can see, A2Hosting has some great plans for those in need of Java-supported hosting. If you’re someone who likes great numbers behind a service provider, then you’ll be happy to find out that SiteGround has one of the best numbers to back it up. Across the whole world, more than 1.7 million websites are hosted using one of their hosting packages. Huge number, right? SiteGround’s shared hosting is one of the best in the industry. But does its dedicated hosting stack up well to it? Let’s see! SiteGround does not come with pure Java hosting. But as I already mentioned it does come with dedicated hosting plans. So, we’ll see what they can do and for what prices. As you know by now, this type of hosting allows use of Java as well. SiteGround isn’t the cheapest choice among our candidates. If you want to go for one of the company’s plans, you should consider your financials too. But if money isn’t your biggest concern, SiteGround really is a good choice for your Java hosting needs. The first plan, Entry Server costs $269 / month and comes with many features. Among others, you have an Intel Xeon SSD with a 3,20 GHz CPU clock speed. The CPU comes with 4 cores and 8 CPU threads, plus 8MB cache. 16 GB of DDR3 RAM along with 480 GB of SSD storage gives you enough space for your projects. This plan isn’t restricting you either with 10 TB of bandwidth. The second plan called Power Server comes for a monthly $349 and gives you some more resources: 32 GB of RAM instead of 16 and 960 GB of SSD storage space. The third plan, Super Power Server is of course the most expensive for $729 / month. For this price you get 2 Intel SSDs, 12 CPU cores, 15 MB CPU cache, 2×960 GB of storage and 64 GB of RAM. If that’s not enough resources, I don’t know what is. In case any of this hardware might not function well for some reason (which isn’t too likely), you get 24/7 support on phone, live chat and ticket. If you request it, they will reboot the whole system for you and run full diagnosis in case of failure. LiquidWeb is a company specialized in many services. But for this article, we’ll focus on the company’s dedicated hosting and VPS hosting services. These are the ones that support Java in the case of LiquidWeb. Let’s start with dedicated hosting. If you’re specifically looking for a dedicated server hosting plan that fits your needs, there’s a high chance you’ll find it at this provider. They go above and beyond with this type of hosting. For instance, you can choose between single processor and dual processor dedicated servers. And both of them come in many options. Out of the dedicated hosting plans, I’ll give one with single processor servers. The first package comes for $199 / month and includes these perks: 4 core CPU clocking at 3,5 GHz speed. 16 GB of RAM and 480 GB of SSD storage is also given to the user with 5 TB of bandwidth. To back up your site, LiquidWeb gives you a 1 TB SATA backup drive. This is the cheapest dedicated hosting that’s available. All the rest is above this price, but with even more resources available. Just look around on the official site to see what’s best for you. If you need something more low cost, then VPS hosting could be your thing. This service comes in 4 different plans, but I’ll give you the first and second which are very good for the price. The first plan costs $59 / month and lets you use 2 vCPUs with 2 GB of RAM, 40 GB of SSD storage, 10 TB of bandwidth and cPanel or Plesk Onyx. The second package is $99 / month, but with 4 vCPUs and 4 GB of RAM. The storage is also upgraded to 100 GB of SSD space. As I said, there are more possibilities among the hosting packages that support Java, but if you’re starting out, these should go well with your needs. If you need something more specific though, LiquidWeb is letting you create your own custom hosting package, just like InMotion and some other providers. We’re talking about hosting services, so we can’t leave this one out. BlueHost is a well-known company among its competition. And for a good reason. It doesn’t matter if you’re a small site owner or a big company in need of hosting, they’ve got you covered no matter what. One of the main reasons for the huge popularity of this host is the easy to use interface that comes with any hosting plan. This gets even better if we mention the support, any customer will experience. If you want a company that really cares about its users, BlueHost is a great choice in that matter. The hosting possibilities they provide are: shared hosting, cloud hosting, VPS hosting and dedicated hosting among other services. Since we’re talking about Java-supported hosting, we’ll take look at the VPS and dedicated hosting plans BlueHost provides its customers. Unfortunately, BlueHost does not have a specific Java hosting plan, but you’ll see that any of the VPS and dedicated packages are beyond sufficient for any needs. BlueHost’s VPS plans come in 3 separate variants. The first option is called Standard and it costs $19,99 / month. For this price you get 2 CPU cores with 2 GB of RAM, 30 GB of SSD storage space and 1 TB of bandwidth. Something nice about this and the other plans is the fact that the company will give you a free SSL certificate to take care of the site’s security. The second VPS plan is called Enhanced, and it comes for a monthly $29,99 fee. This one goes further and it includes 60 GB of SSD storage, 4 GB of RAM and 2 TB of bandwidth. Ultimate is the third VPS package which costs $59,99 / month. With this option you get 4 CPU cores, 120 GB of SSD storage, 8GB of RAM and 3 TB of bandwidth. 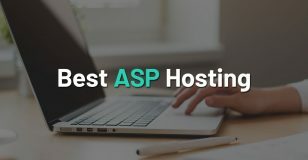 The plan that is recommended by BlueHost itself is the second one. With this package you get enough resources for your Java based site to perform at its highest standards. For example, you get 4 CPU cores with 8 threads clocking at a 2,5 GHz speed. 1 TB of SSD space and 8 GB of RAM should be enough for almost any user. To give you an even better deal, BlueHost gives you 4 IP addresses along with 10 TB of bandwidth. To ensure your security, an SSL is also added to every plan. If for some reason you’re not pleased with what you got for your money, BlueHost will give you a refund in the first 30 days if you want that. 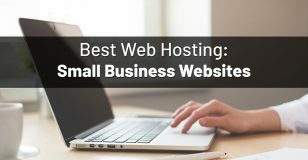 Just like BlueHost, HostGator is also a big company in the web hosting field. They have a good history of really pleased clients who use their services for years. 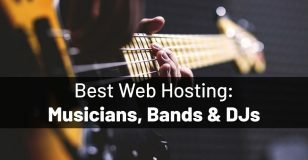 Compared to other hosts in this article, HostGator is also one of the cheaper options, for getting Java-supported hosting. HostGator’s dedicated and VPS hosting is supporting Java very well. Their VPS hosting comes with Root Access for any plan. This means that you have way better control over your environment, which lets you install custom scripts or applications on your Virtual Private Server. To make it even more appealing, HostGator gives you access to a whole drag and drop website builder with hundreds of free templates and prebuilt sections to use on your website. This will make your website creation process a lot faster, thus leaving you more time for developing Java applications. All 3 of these plans come with multiple layers of security built into them: IP table firewall, centralized DDOS protection and secured VPS firewall. Dedicated hosting is also split up into 3 different plans, but the second one is the most reasonable for the price: it costs $139 / month and it gives you an 8 core and 16 thread Intel CPU, 16 GB of RAM, 512 GB of SSD storage or 2 TB of HDD storage (you can choose which one) and unmetered bandwidth. All this is available for either Linux or Windows OS. To help you out with your possible issues, HostGator makes available a huge variety of online video tutorials and hundreds of articles for dedicated hosting solutions. This can be a real asset, when you’re looking for a solution to a problem. But if you can’t find it, the support team is happy to help you 24/7 via telephone or live chat. If we want to give you a hosting provider that has a long history behind it, our pick would certainly be InterServer. This company was founded in 1999. Yes, quite some time ago. Since the company is a bit older than some its competitors, you’d expect an efficient hosting service, right? Of course, and that’s exactly what you get with InterServer. Just like many others on this list, InterServer also comes with dedicated and VPS hosting that supports Java. So, we’ll see what these options give you for your money. InterServer has an interesting way to let you choose a certain type of VPS hosting package. On the official site, if you navigate to the VPS Home Hosting page, you’ll see a bar that lets you choose your preferred resources needed, in your case for Java. You can slide that toggle from level 1 to 16. The first level gives you access to 1 GB of RAM, 1 CPU core, 25 GB of SSD storage and 1 TB of data transfer. As you move the toggle upper on the line, you get more resources. Basically, InterServer gives you access to 16 different VPS hosting plans. On each level the price is displayed below the status bar, so you know how much it costs. The lowest tier plan comes for a monthly $6,00 and the highest for a $96 monthly fee. What about dedicated servers? InterServer gives you the possibility to choose every single feature for you dedicated server hosting. I really mean every single one. You will have the most versatile package ever with this platform. The company gives you access to the latest CPUs in the industry from Intel and the chance to choose between 1, 8, 16, 32 or 256 GB of RAM. Yes, you’ve read that right. Besides this huge amount of RAM that’s available for usage, there are way more features you can choose from. Java will surely work at its peak performance with InterServer. I’ll start with the dedicated hosting plans: Startup, Professional and Enterprise are the 3 available plans for this type of hosting. They are packed with great features at a mostly reasonable price. IPage’s VPS hosting is split up into 3 separate plans, but I’ll give only the best deal for your money. That is the second plan called Business. It comes for a monthly $47,99 fee. They include a 2 core CPU with 4 GB of RAM and 90 GB of disk space. 3 TB of bandwidth and 2 IP addresses are also added to the bundle along with access to a standard cPanel. For most users this is well enough. But if you need even more resources, I recommend you go for the 3rd plan, or choose one of iPage’s dedicated hosting packages. But no matter what you choose, iPage will give you 1 free domain for a whole year. This is a welcomed addition to any hosting plan. FatCow (nice name btw) is an American company who provides hosting services for 20 years now. They don’t have a dedicated Java hosting plan, but the VPS and dedicated server hosting services are here to help you out. VPS hosting comes in 3 packages as you would expect by now. The first plan (Basic) costs $19,99/month and is suitable or those who are at the beginning with their website. The plan comes with 1 core and 1 GB of RAM. The storage is 40 GB and with a bandwidth of 1 TB. If your needs are growing and you need a more powerful plan, just upgrade for a higher package: the Business plan costs $47,99/month and it gives you twice as many resources as the first, Basic plan. But if this still isn’t enough, then the Optimum plan ($79,99/month) is for you. With a 4 core CPU, 8 GB of RAM and 120 GB of storage, your applications will surely work at their peak performance. I won’t say much about the dedicated server plans, because they are exactly the same as iPage’s. The prices and features they make available coincide with the ones from iPage. This simply tells you that FatCow is just as good at dedicated hosting as its competitors. This company has more than 10 years of experience in web hosting and has got a big array of services available: shared hosting, cloud hosting, managed WP hosting, VPS hosting, dedicated servers, reseller hosting and many more. All this is spread across 6 countries that include the USA, UK, Netherlands, Singapore, Australia and Japan. Now I’ll introduce you to TMD’s VPS hosting. Differently from most of the other companies listed here, TMD comes with 5 plans for VPS hosting. But I’ll only give you 2 that are the best for their price tag. The first that I mention is called The Original and it costs $29,97/month. All the plans come with 30-day money back guarantee. With this one you have the following features included in the price: 65 GB SDD storage, 4 TB bandwidth, 2 CPU cores, 4 GB of DDR4 RAM, cPanel and premium support with free setup. All this is fully managed by the team behind the hosting package. This plan is their most popular choice among new users in need of VPS hosting. Best value for your money is the plan called Smart that costs $39,97 / month. As you’d expect, it comes with some added features compared to the previous one: 100 GB of SSD space, 5 TB bandwidth, 4 cores and 6 GB of RAM. The other bonuses are all here as well. On the side of dedicated servers, they give you the possibility to choose from 4 separate plans. But you should know from the start that they are all worth the money, but I’ll only mention the best value plan: this is also called Smart. It costs $124,97/month. Smart comes with a huge 2 TB storage space, unlimited bandwidth, 8 CPU cores with 16 threads and 16 GB of RAM (DDR4). Premium support, cPanel and free setup is also thrown in, so you get an even better deal. All the other hosting plans (VPS and Dedicated servers) are well worth the money for what they give you. But these 3 plans that I mentioned are the most likely candidates when you choose a Java-supported hosting. I think you will surely find a company that works best with your needs for Java-supported hosting. Keep in mind that Java needs more resources to run properly, and this way you’ll be able to pick the one plan that does it all for you.